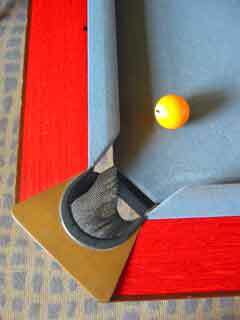 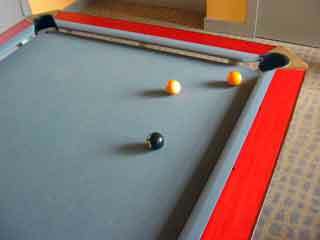 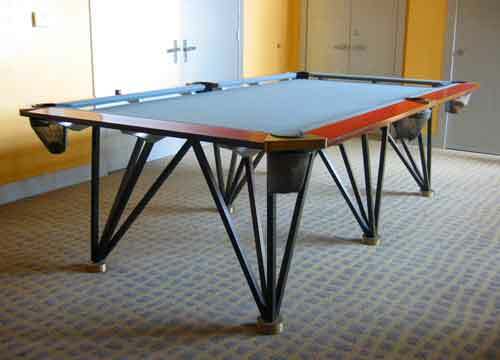 © 1991 This pool table was designed for the "New American Furniture" exhibit at the Oakland Museum. 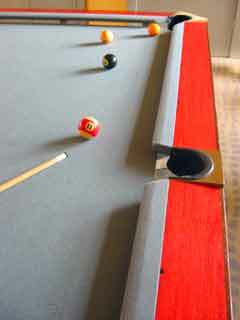 The base for the table is aluminum rather than traditional slate. 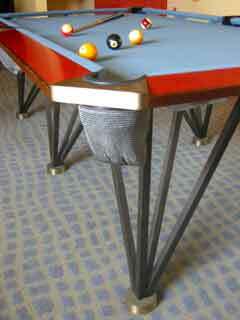 The legs are solid steel with adjustable brass feet. 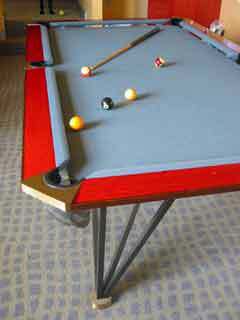 The floating rails are made from red Italian laminated wood and the pockets are stainless steel chain male. 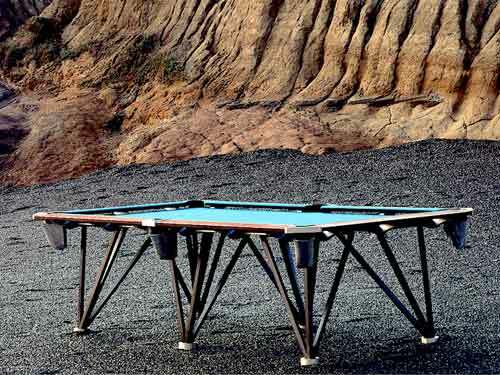 Although the appearance is unconventional the dimensions and function are what you would expect from a traditional table.